Lee, an ordinary college student living in Seoul, wakes up in the morning and checks what he has in the refrigerator for breakfast. What he finds is bread he bought some time ago. Noticing the bread has expired, he just throws it away. Instead, Lee goes out to a bakery for breakfast. Feeling hungry, he ends up buying a little too much food. However, he has to finish quickly in order not to be late for class, so Lee has to keep leftovers in the refrigerator. Lee seems to be wasting food. This may sound like a comedy; it is rather worse in reality. According to the Ministry of Environment, more than 14 thousand tons of food waste are discharged a day in South Korea. This is a huge problem for our society. Where the Bread Came From……. Technically, Lee does nothing more than throwing away some food. Nevertheless, this could incur more serious consequences than he thinks. To see how harmful Lee’s waste actually is, let us start with the bread itself. Lee bought the bread that he threw away in the morning for about 2,000 KRW. This price includes various costs such as labor, energy, and facilities, but the most essential cost is the material: flour. The flour used to make bread is mainly imported from North America. For example, the wheat was produced in the United States, milled into flour, and then it was transported to Korea. Even leaving transportation aside, growing wheat and grinding it into flour consumes a lot of energy and water. The documentary film Just Eat It: A Food Waste Story says that in the United States 4 percent of the energy produced and water that is used for household purposes by 500 million people a year are used to make food that is thrown away. Considering the amount of land, energy, and water used to make food, it is legitimate to say that, by wasting food, we are wasting a huge amount of resources in total. And in our story, Lee has wasted the resources and energy that has gone into growing wheat, milling it, transporting it, and baking it by simply throwing away his piece of bread. Furthermore, this is related to a country’s self-sufficiency in food since waste affects the overall supply. Wasting food leads to more food being needed to support a society, and this means that more food will have to be imported. More money has to be spent, and more energy has to be used in the transportation process. All of this increases the dependency on foreign countries, too. Even in the case of items that are not usually imported to Korea, such as rice, it is possible that imports would become necessary if we waste too much. Kim is a public official who manages the process of getting rid of food waste. He has a hard time trying to find a way to get rid of the tons of food waste produced daily. They used to dump piles of trash into the sea but this was banned recently because of marine pollution. Now Kim has to handle mountains of trash on land. He can turn the waste into rather useful things such as animal feed while processing the rest in different ways, like burying it. Kim could just simply bury all the waste in the ground if there were not a problem to this solution. 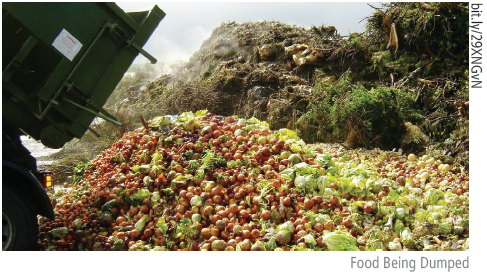 What happens when food waste is buried? In case of Lee’s bread, as time passes by, it rots and turns into soil. The problem happens when there are tons of littered pieces of bread rotting beneath the ground. Not only does it smell unpleasant, but it also produces methane gas, which worsens global warming. In addition, it costs a tremendous amount of money to bury such a large amount of waste. According to the Ministry of Environment, about 800 billion KRW a year is spent on getting rid of food waste, and the resulting economic loss is calculated to be over 20 trillion KRW every year. Even in the case that food waste is recycled into animal feed, a lot of money and resources have to be consumed in the process. 30 percent of animal feed produced through recycling consists of ingredients that are added during the process. Food waste is not composed of the same ingredients every time; they differ by season and location. Lee may think that he merely threw away bread. To Kim, however, the bread Lee threw away is one more piece of random material that adds to a stack of food waste. 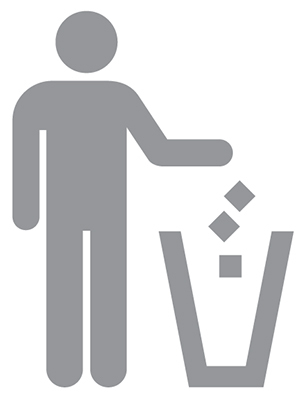 In addition, there is often trash, such as egg shells or chicken bones, which should not be classified as food waste. As a result, money and resources have to be spent on refining the waste, making the solution even more expensive. At lunchtime Lee usually eats at the school cafeteria. However, today Lee runs into a friend of his and they decide to have lunch together outside the campus. At the restaurant, they are served several side dishes along with their main courses. Lee and his friend finish their food; however, most of the side dishes are left unfinished. After they pay and leave, a restaurant employee throws away the leftovers. As we can see above, Korean restaurants often serve a few or more side dishes, and this is a big reason that restaurants are one of the main sources of food waste. The cafeterias at the University of Seoul (UOS) are not exceptions. According to School Dietitian Kyung-sook Min, about 320 to 400kg (400 to 500ℓ) of food becomes trash every day. She estimates that on average about 200g of food waste on average is made by each customer a day. 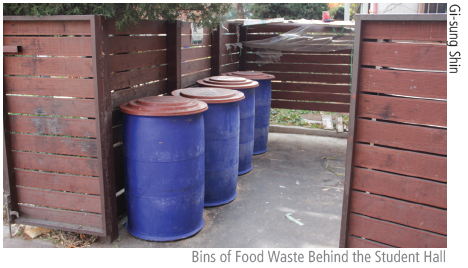 Out of the 320 to 400kg of daily food waste, leftovers take up about 90 percent. Five percent is from unused ingredients, and the rest is waste from the process of cooking. Once food waste has piled up, a contractor takes away the food waste to its factory and converts it into animal feed. The school has to hire a company to do this and, according to Min, UOS spends about a million KRW per month on this contract, which is actually one of the cheapest companies compared to those used by other universities. This means that most other universities have to pay even more to get rid of food waste. According to Min, school cafeterias can predict their demand rather easily. This is because most of their guests everyday are a consistent number of students and school authorities. This fact allows them to collect and analyze data easily. Considering that the school cafeteria is already trying to reduce food waste by analyzing demand and it has an advantage: demand estimation, restaurants outside of campus may have to deal with more significant food waste inefficiency than school cafeterias. On his way home, Lee drops by a convenience store and buys some food for dinner. Unfortunately, Lee notices that he overestimated his appetite and that he will not be able to finish the food he bought. He ends up stuffing the leftovers in the refrigerator with the food he bought a few days before. This shows how households are also one of the main sources of food waste. People often just buy some food, leave it in the refrigerator, and forget about it. Later, when they find their food and want to eat it, it is expired and they just throw it away. What Lee did after school is a good example of this. In South Korea, according to the Ministry of Environment, households and small restaurants cause 70 percent of total food waste. This is the highest occupancy in the graph from the data of the Ministry of Environment. Large restaurants come in second, causing 16 percent, and are followed by food service establishments, which cause 10 percent. Finally, the distribution of food across the country causes another four percent. 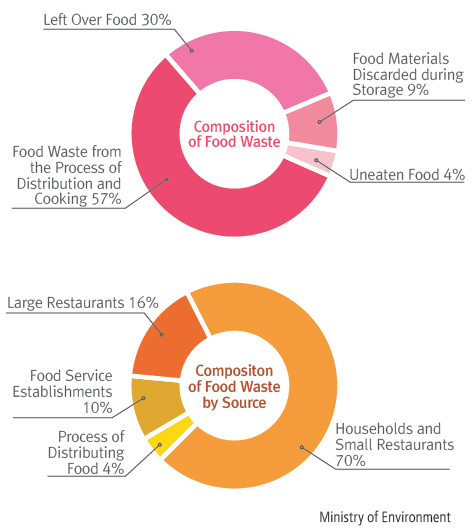 Another graph from the data of the Ministry of Environment shows what composes food waste. The biggest part was waste produced during the process of distribution and cooking, taking up about 57 percent of food waste. The next biggest component was left over food, which was 30 percent of the food waste, followed by food materials discarded during storage, taking up 9 percent, and uneaten food, taking up four percent. Additionally, the data from the Ministry of Environment says that 14 thousand tons of food waste is produced daily. Food waste accounts for 28.7 percent of all the trash produced, and that is about 1/7 of the entire amount of food. An average household of four people uses 718kwh of energy and emits 724kg CO2e of greenhouse gas every year through the food waste they make. The data states that about 8.85 million tons CO2e of greenhouse gas is produced every year. Today, the amount of food waste in Korea is increasing by three percent annually. The reasons for this phenomenon include economic abundance and the cultural preferences of having plenty of dishes on the table. Lee definitely wasted a lot of food throughout his day. Can we possibly make a better ending for our story? If Lee wants to bring a stop to this lifestyle, what should he do? According to the Ministry of Environment, if we decrease 20 percent of the food waste we make, we will be able to save 160 billion KRW, which could be used to get rid of food waste, as well as save about 1.8 billion kwh of energy and reduce about 1.77 million CO2e of greenhouse gas. It also says that we will able to save 5 trillion KRW in total. All in all, we need solutions. What Can be Done by Society? Food is a valuable resource for society. There is no doubt that there should be measures taken by society in order to solve the food waste problem. One way is to make companies mark a “use-by” date on their products. An article for the magazine Living Sense says that about 650 billion KRW is wasted every year because people confuse sell-by dates with use-by dates. All products now have sell-by dates marked on perishable products since this became compulsory in 1985. 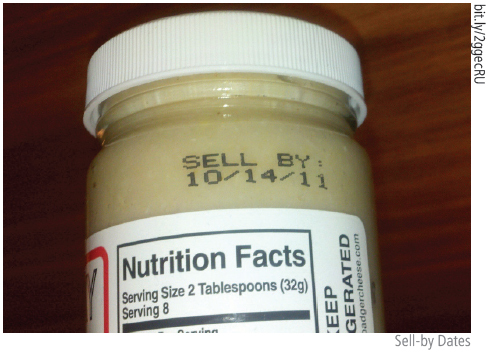 The point is, however, that many people mistake a sell-by date for a use-by date, which indicates the last day the product should be consumed. In fact, the sell-by date is supposed to tell stores how long they can display these products, while considering the time it may take to reach the refrigerators of consumers. In other words, most products are still edible at the time of a sell-by date if they have been kept in ordinary conditions. If the companies add another labeled date that shows by when the food is good to use, we might be able to salvage a lot of good food. If Lee knew his bread was still good to eat, he might not have thrown away that many pieces of bread. Another way is to decrease the amount of side dishes wasted. According to an interview from an internet news broadcast by PBC, changing the way restaurants serve side dishes could help to decrease food waste. Having customers get their own side dishes is a way to reduce food waste, given the fact that restaurants in South Korea often serve the side dishes without considering whether the customers want them or not. 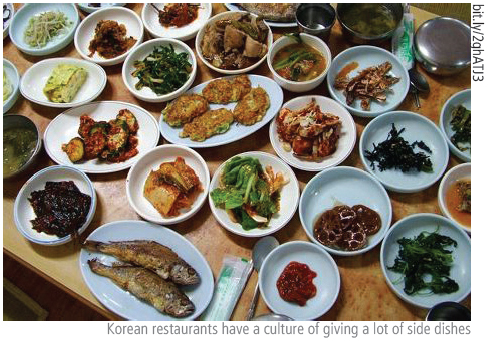 The interview also asserted that this could lead to an improved restaurant culture in Korea. A campaign is also needed. The government has been campaigning to reduce the amount of food waste. However, it is important that the campaign last a long time and is effectively conducted. For example, advertising the bad effects of food waste on TV could be a part of the campaign. This might cause people to get more interested in the problem. Consistent efforts are the main point of this solution. In the case of UOS, a volunteer group was established in 2012 in order to solve environmental problems in our school, including campaigns about not leaving behind food at the school cafeteria. According to Min, this activity helps. Since it is us, the consumers, who throw away all that trash, the role of individuals becomes very important in solving this problem. The first and the most immediate improvement one can make is to buy only as much food as needed. 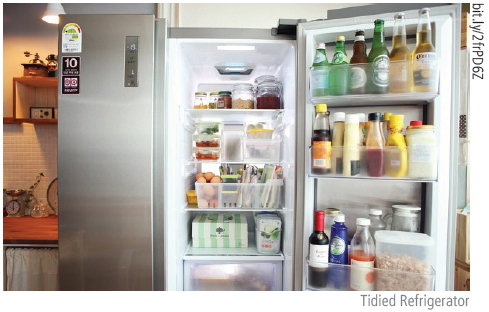 The more excessive food purchases there are, the more food will end up rotting in the corner of refrigerators. The problem is that many people do not really know how much food they need. Here are some tips from the documentary film Just Eat It: A Food Waste Story to help you out. First, always tidy your refrigerator. Make sure what is in there and think what you can do with it. If you could make dinner out of it, do not just go to the store and start buying several things that will eventually be stuffed in the refrigerator. Second, make sure you have a list of things you will buy. Try to keep your spending within the plan. These solutions not only help reduce the food waste you make, but they also help you save money. Things work similarly when it comes to ordering food at a restaurant or school cafeteria. When you order food, do not just order a bigger meal because you feel hungry in that moment. Consider how much you can really eat. Also, do not forget to ask whether you have an option on the size. In the case of the school cafeteria at UOS, you can ask the employees to adjust the size of your meal’s portion. According to Min, adjusting the portion helps a lot to decrease food waste. Finally, before you throw away food waste, dry it if you can. According to an article in the magazine Living Sense, 80 percent of food waste is composed of water, and this means that if you dry the food waste it will decrease in both volume and weight. This will help you pack more trash into garbage bags. Additionally, since it is dry, it is less likely for the food waste to rot and smell terribly. There are machineries for drying food waste if you need help. Now let us go back to our story. Lee, an ordinary college student living in Seoul, wakes up in the morning and checks what he has in the refrigerator for breakfast. He finds bread that he bought some time ago. Although he notices that the bread has already passed the sell-by date, he decides not to throw it away. He knows that the use-by date was labeled there for him, and he is confident that the bread is still fine. Lee then does not go out to buy breakfast. He already has some bread to eat, and he finishes it and goes to school. At lunchtime Lee usually eats at the school cafeteria. However, today Lee runs into a friend of his and they decide to have lunch together outside the campus. At the restaurant, they are served only the main course in the size they ordered. Lee brings some side dishes from the corner for two people. Lee and his friend finish all of their dishes. They pay their bills and leave the restaurant, and then the restaurant employees only have to clean the empty dishes. On his way home, Lee considers dropping by the convenience store and buying some food to eat for dinner. However, he remembers that he has some bread left in the refrigerator. He decides to have that instead for dinner because his refrigerator has been kept tidy.